Posted November 5th, 2015 by Jessica Garcia & filed under Uncategorized. 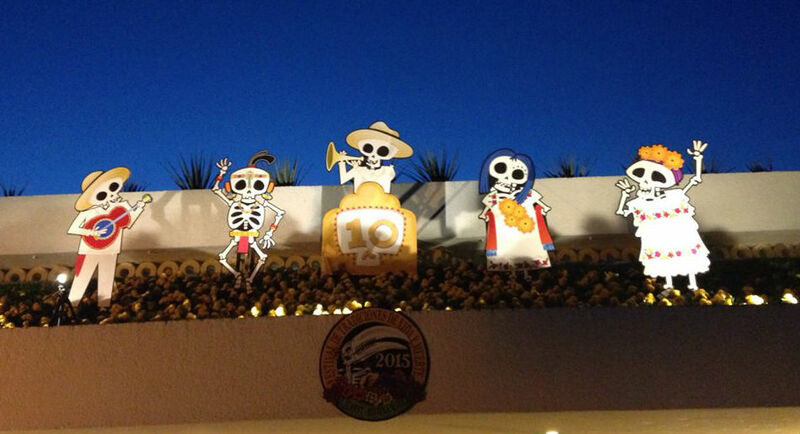 This year marked the 10th anniversary of the Festival of Life and Death at Xcaret park, and we were lucky enough to attend! Each year this festival is held in the Riviera Maya and brings people from all over to celebrate in the traditions of Día de Muertos. 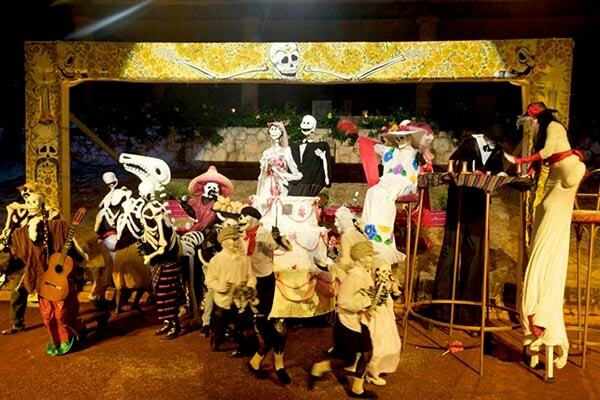 Let us give you a look into the Festival of Life and Death at Xcaret park. Every year this festival is held for 4 days, from October 30th- November 2nd, and each day is full of fun and entertaining shows. From children dancing in beautiful traditional clothing to men and women on stilts, there is something to please all. Live shows are on display at different times throughout the park throughout the evening; But make sure to pick up a program once you get there so you know exactly where to be at what time. What would traditions be without traditional foods? Each year a different state’s culinary traditions are represented as well as a traditional menu that is available each year. Savour traditional Mexican hot chocolate, enjoy a sweet sugar skull, or indulge in pan de muerto (a light pastry covered with sugar); And don’t forget to try a torta with cochinita pibil. 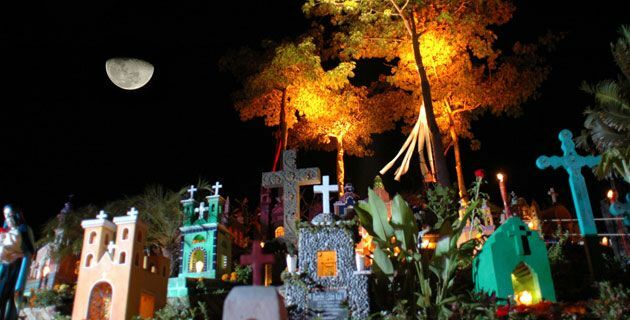 Take a walk through the cemetery, immerse yourself in the culture and art, discover local crafts, take part in workshops, watch live dances and concerts, and finally don’t miss the detailed altars dedicated to those who are no longer with us. This festival offers so much to do and see and is a great reminder that those who pass on are to be celebrated. This festival is hosted every year and if you are lucky enough to be here during those dates then this is something you can’t afford to miss! 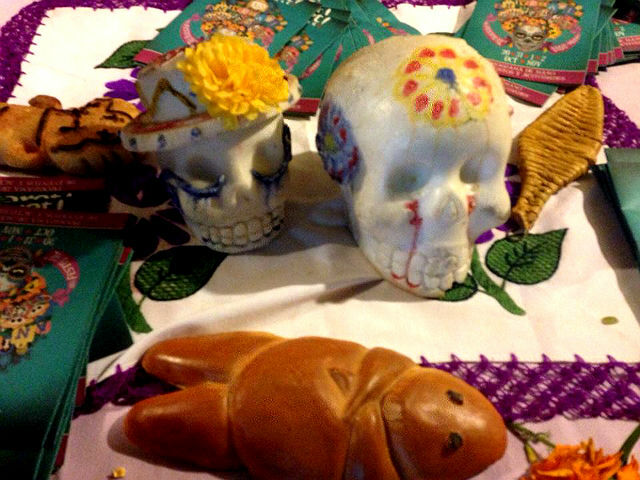 Learn more about the Festival of Life and Death here and start planning your Cancun vacation now!